It used to be known for its tenement-style buildings, but these days new construction is transforming the Lower East Side, with loads of new residential and retail buildings, ushering in rising prices. In this week’s Buy Curious, Jai Lee of Mdrn. Residential and Brandon Major of Warburg Realty tell you everything you need to know about today’s Lower East Side. What’s the Lower East Side like today? What kinds of buildings are there? How expensive is it to live there? “Gritty” is the first word that both of our experts used when asked to paint a picture of the Lower East Side. "That’s going to change drastically,” Major says, pointing to the construction boom that’s bringing projects like Essex Crossing, a mixed-use development set to be completed in 2024 that will span eight city blocks and offer over 1,000 new apartments, office and retail space. Some insist that its borders begin below 14th Street. Most, however, believe that the neighborhood is bounded by the Bowery to the west, East Houston Street to the north, the FDR. Drive to the east, and Canal Street to the south. Chinatown lies south and west of the area; Nolita is to the west; and the East Village is to the north. As of the 2010 United States Census, there were 72,957 people living on the Lower East Side, Residents were 22.6 percent white, 39.6 percent Hispanic or Latino, 10.9 percent African American, 24.9 percent Asian, 0.2 percent Native American, 0.3 percent other, and 1.6 percent from two or more races. Nearly two million Jewish immigrants came to America between 1881 and 1914, and many of them settled on the Lower East Side, detailed in this New York Times article. As such, the neighborhood became known as a predominantly Jewish enclave. Remnants of the Lower East Side’s Jewish past still remain in the form of Judaica stores that can be found on Hester, Essex, and Grand streets (although many of them have closed in recent years); as well as authentically kosher and kosher-style eateries, such as the famed Katz’s Delicatessen on East Houston Street. There are also a number of historic synogogues on the Lower East Side, as well, including the Bialystoker Synagogue, which was founded in 1865, and the Eldridge Street Synagogue, built in 1887. “There are still many Jewish families south of the Williamsburg Bridge,” Lee says. Many immigrants from Latin America—specifically Central America and Puerto Rico—have also been drawn to the area in recent years, opening grocery stores where Jewish stores once stood. Lee notes that in the past, artists, immigrants, students, and young professional were drawn by the area's affordable housing. "Nowadays, there are more affluent people moving into brand-new condos there," she says. Old meets new here, say our experts. Brick tenement buildings that speak to the neighborhood’s past—many of which have been fully updated—stand side by side with its future: newly constructed luxury condos. 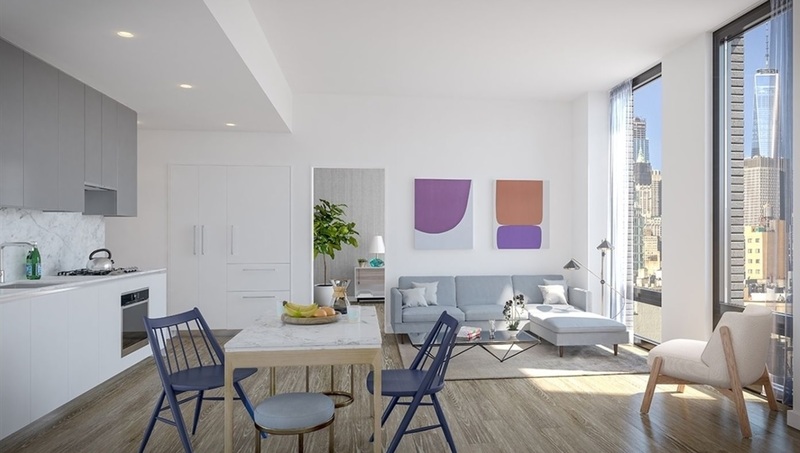 New developments include 196 Orchard St., a 94-unit condo building with a two-story fitness center and spa, as well as a 4,100-square-foot rooftop terrace; 150 Rivington St.—a seven-story building with 45 condos, a rooftop terrace, a fitness center, and a sundeck for yoga—which was recently built on the former site of the Streit’s Matzo Factory; and 242 Broome St., a 14-story, 55-unit condo building at Essex Crossing. Lee also notes that “you can also still find some HDFC cooperative buildings with income restrictions” here, too. The average sales price in the first quarter of 2018 was $2,265,789, according to Jonathan Miller, president and CEO of Miller Samuel, a real estate appraisal and consulting firm. That’s up 157 percent from that same period the previous year, when the average price was $881,840, and up an insane 274 percent from the first quarter of 2013, when the average price was $606,333. A StreetEasy search reveals that there are 164 properties currently for sale on the Lower East Side, ranging from a 4,220-square-foot five-bedroom condo at 215 Chrystie St. that’s listed for $15,595,000 to a 400-square-foot one-bedroom HDFC co-op at 172 Forsyth St. that’s priced at $400,000. There are a number of subway stations in the area, including Delancey Street/Essex Street, where you can catch the F, M, J, and Z trains; Grand Street for the B and D; Second Avenue for the F and M; and East Broadway for the F.
Buses serving the area are the M15, M103, M21, and M22. Additionally, a Lower East Side ferry route is set to launch this summer, running from Wall St./Pier 11 to Long Island City. The Tenement Museum on Orchard Street tells the tales of the many immigrants who made the Lower East Side their home. You can visit restored apartments in two historic tenement buildings to see what life was like for immigrant families in the 19th and 20th centuries. 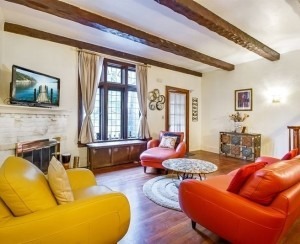 It also offer walking tours of the neighborhood and other programing about New York’s history and culture. The Metrograph, an art house cinema, opened in 2016 on Ludlow Street, and screens archive-quality prints, as well as new films. The New Museum on the Bowery touts itself as “Manhattan’s only dedicated contemporary art museum.” Current exhibitions include “Thomas Bayrle: Playtime,” a retrospective, and “Hiwa K: Blind as the Mother Tongue,” a look at the art of an Iraqi-Kurdish artist whose work is inspired by political events. There are also dozens of smaller art galleries in the neighborhood—many focused on contemporary art—including Canada on Broome Street, the Marc Straus Gallery on Grand Street, and the Nathalie Karg Gallery, also on Grand. Lee is partial to Hester Street’s Meow Parlour, New York’s first cat café, where patrons can play with adoptable cats for up to five hours, while enjoying coffee and pastries. His favorites include the Clinton St. Baking Company & Restaurant, where he claims “some of the best pancakes and soft scramble can he found”; Speedy Romeo, known for its wood-fired pizza; Pianos, a two-level bar that features live music; Mr. Purple, a swanky rooftop bar and restaurant located on the 15th floor of the Hotel Indigo; and Stanton Social, a three-level restaurant and lounge that features a 30-foot wine wall displaying over 2,000 bottles of wine. For those looking for more of a bar scene, he suggests Beauty & Essex, a restaurant and lounge hidden behind a working pawnshop; No Fun, featuring late-night DJs and serving elevated pub fare; and The Backroom, a speakeasy that operated during Prohibition and serves cocktails in teacups—the way people actually imbibed in secret during that era. 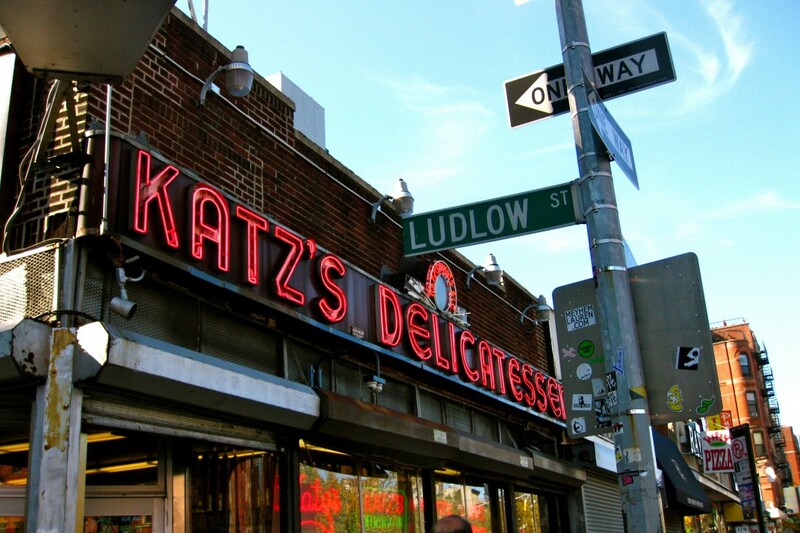 Lee likes the legendary Katz’s Delicatessen and Russ & Daughters Café, both of which serve Jewish food and “stand as reminders of how the Lower East Side used to be,” she says. Locals frequent the Essex Street Market—which opened in 1940, and which Lee calls both “a local gem” and “a historic culinary destination." Later this year, the market will relocate to a fancier home at The Market Line in the new Essex Crossing. A new Trader Joe’s will also open as part of the project. There’s also a Key Food at 43 Columbia St. and a Whole Foods at 95 East Houston St. 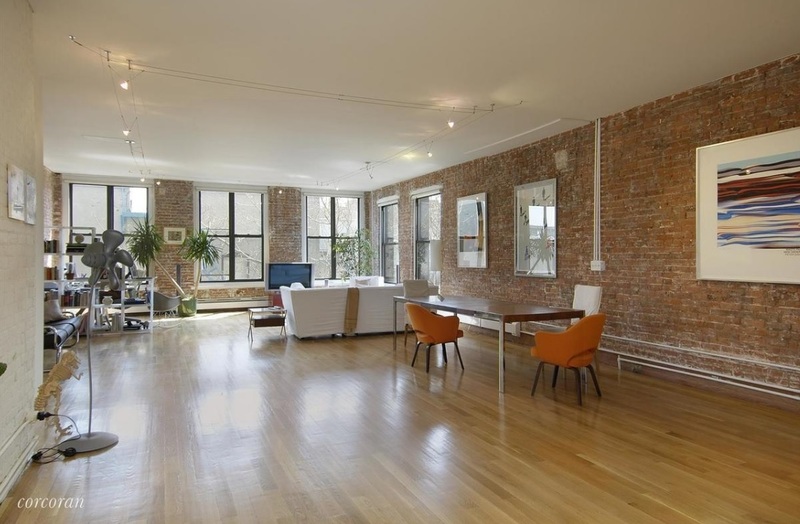 This 2,200-square-foot, three-bedroom, two-bath co-op was recently renovated, and has a large living room with floor-to-ceiling windows, exposed brick, and 10-foot ceilings, a new kitchen with a wine fridge, and a dining area that fits an eight-seater table. There’s also central AC throughout, all lights are on dimmers, and a washer/dryer in the apartment. It’s in a pet-friendly, six-story walk-up building. It is listed at $2,500,000. Maintenance is $1,300 a month. 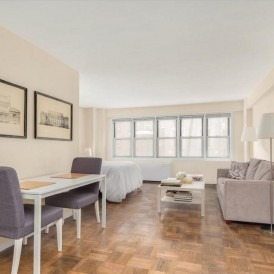 Listed for $438,000, this one-bedroom, one-bath HDFC co-op has bamboo floors, recessed lighting, and storage spaces throughout the apartment. It’s located in a pet-friendly building that uses biodiesel and many other eco-friendly initiatives. It also has a laundry room, private storage cages, and a bike room. Annual income cannot exceed $80,000 for a single occupant or $91,000 for two occupants. Maintenance is $416 a month. This three-bedroom, two-and-a-half-bath duplex penthouse is accessible through a private, keyed elevator that opens to the main floor. It is asking $4,000,000. There’s an open layout with white oak floors, multi-zone central A/C and heat, in-unit laundry, custom lighting, and 18-foot living room ceilings. The kitchen has a large wine cooler and a 17-foot marble island. 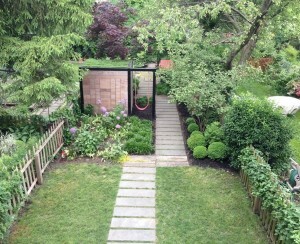 There’s also a 650-square-foot private terrace. 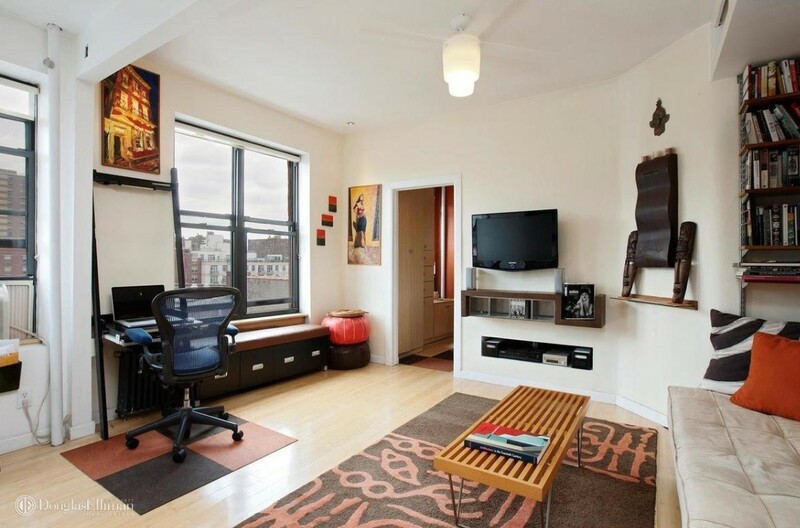 It’s in Ludlow Lofts, a seven-story condo building with basement storage bins, a super, a part-time doorman, a common roof deck, and a video intercom. Common charges are $1,603 a month. Taxes are $2,608 a month. 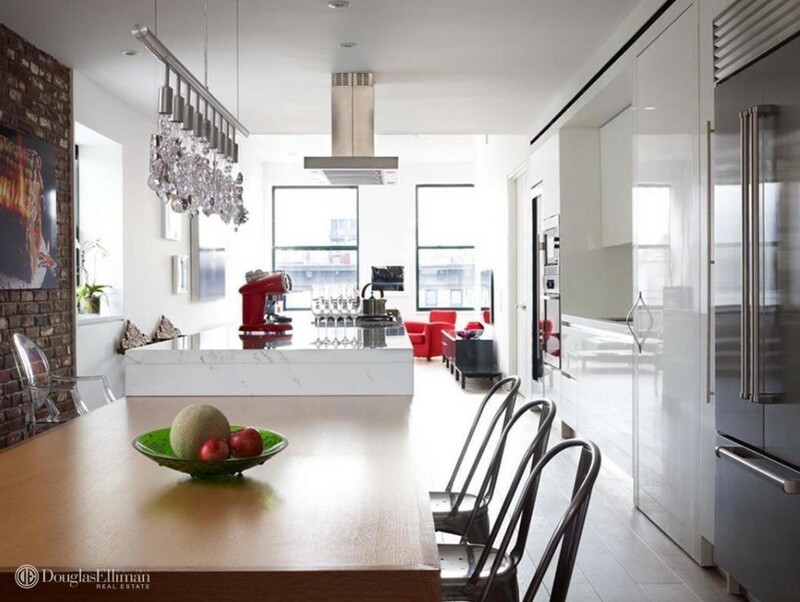 Priced at $1,230,000, this 624-square-foot one-bedroom, one-bath has 10-foot-ceilings, an open kitchen with Italian cabinets and Carrara marble countertops, a walk-in closet in the bedroom, whitewashed oak floors, and an in-unit washer/dryer. It’s in a condo building with a part-time doorman, fitness center, landscaped common roof terrace with an outdoor kitchen, bike storage, and private storage (available for purchase). Common charges are $607 a month. Taxes are $596 a month. 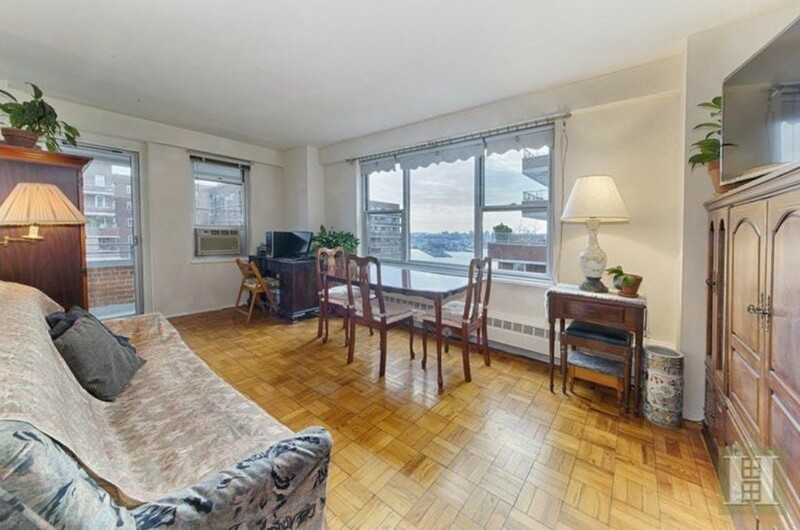 This $619,000 one bedroom, one bath, has eastern and southern exposures, a windowed eat-in kitchen that can easily be opened up to the living room, a bedroom that’s big enough for a king-size bed, parquet wood floors, four large closets, and a private balcony. It’s in the East River Co-op, which has a gym, two private parks with playgrounds, 24-hour security/lobby attendant, community room, playroom, and on-site laundry. Maintenance is $845 a month. No dogs are allowed. If you're over 30, you may want to stay out of the Lower East Side after 10 p.m. If you're under 30, try not to puke in the street. Kips Bay to the Lower East Side: "It's nice to go to bar without standing three deep in line everytime you order a drink"